1/30. Rep. Henry Waxman (D-CA), the ranking Democrat on the House Commerce Committee (HCC), announced that he will not run for re-election later this year. He was first elected with a large number of other Democrats in the 1974 post Watergate election. He became Chairman of the HCC at the beginning the 111th Congress in 2009 by successfully challenging the more senior Rep. John Dingell (D-MI). Most of his legislative efforts have not involved information or communications technologies. However, he boasted in a release that "Last Congress, I worked with Democrats and Republicans in the House and Senate to pass legislation that will ease the nation's growing spectrum shortage, spur innovation in new 'Super WiFi' technologies, and create a national broadband network for first responders." That spectrum bill was enacted in the 112th Congress as part of HR 3630 [LOC | WW], the "Middle Class Tax Relief and Job Creation Act of 2012". 1/28. President Obama gave a speech to the Congress on January 28, 2014 titled "State of the Union Address" in which he advocated passage of a "patent reform bill". He touted the "progress" and "growth" accomplished during his administration, but said very little about the state of the union, or his policy agenda, on technology related issues. When he did address technology related issues, it was in the vaguest of terms. Patent Reform. President Obama did not discuss the state of the patent system. Nor did he offer any proposals for changes to patent law or procedure. Nor did he comment on HR 3309 [LOC | WW], the "Innovation Act", the patent bill passed by the House in December 5, 2013, or any other pending patent bills. He merely said, "let's pass a patent reform bill that allows our businesses to stay focused on innovation, not costly, needless litigation." Rep. Bob Goodlatte (R-VA), Chairman of the House Judiciary Committee (HJC), stated in a release that "I am encouraged by the President’s continued willingness to work with Congress in order to stop abusive patent litigation. At the end of last year, the House overwhelmingly passed the Innovation Act, a bipartisan bill that takes meaningful steps to address the abusive practices that have damaged our patent system and resulted in significant economic harm to our nation. Businesses both large and small are affected by this growing problem and the enactment of the Innovation Act is central to U.S. competiveness, job creation, and our nation’s future economic security. I look forward to working with President Obama and the Senate to see that patent litigation reform legislation is signed into law." Ed Black, head of the Computer and Communications Industry Association (CCIA) stated in a release that "We are encouraged by the President's mention of patent reform in the State of the Union because it reflects the broad recognition that patent trolls are a multi-billion dollar drain on our economy. It's time for the Senate to take up and complete its passage of meaningful patent reform legislation, like the House did late last year. It’s important that the bill includes fee shifting reforms to ensure access to justice for innocent victims of patent trolls and also includes a meaningful system to get mistakenly issued patents reviewed." FCC Tax and Subsidy Programs. President Obama said nothing about spectrum policy, auctions, emergency communications, network neutrality rules, or the waste, fraud and abuse in the FCC's universal service tax and subsidy programs. However, he did speak in vague terms about the FCC's e-rate subsidies for schools and libraries. He said that "Last year, I also pledged to connect 99 percent of our students to high-speed broadband over the next four years. Tonight, I can announce that with the support of the FCC and companies like Apple, Microsoft, Sprint, and Verizon, we've got a down payment to start connecting more than 15,000 schools and twenty million students over the next two years, without adding a dime to the deficit." The FCC's e-rate program provides subsidies for schools and libraries that are funded by taxes collected by service providers. This program is administered by the FCC and its USAC, and is off budget. FCC Chairman Tom Wheeler stated in a release that "Harnessing the power of digital technology is central to improving our education system and our global competitiveness. In the Internet age, every student in America should have access to state-of-the-art educational tools, which are increasingly interactive, individualized and bandwidth-intensive. The Federal Communications Commission shares the President’s commitment to seizing the opportunities of digital learning, which is why we’ve already launched an effort to modernize our successful E-Rate program -- the nation’s largest education technology program. By applying business-like management practices to E-Rate, we can take steps this year that will make existing funds go farther to significantly increase our investment in high-speed broadband connectivity for schools and libraries for the benefit of our students and teachers. ..."
Trade Policy. President Obama said little about trade policy. He did advocate passage of legislation that would give him "trade promotion authority" (TPA). TPA would enhance the President's ability to negotiate trade agreements by allowing the Congress to approve or reject, but not amend, trade agreements negotiated by the President. 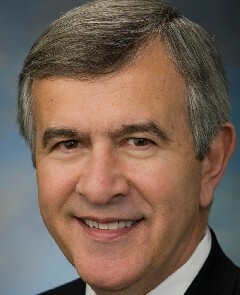 Mike Froman, the U.S. Trade Representative, announced President Obama's support for TPA at his confirmation hearing on June 6, 2013. The Congress gave President Bush TPA, who then proceeded to negotiate both bilateral and multilateral free trade agreements (FTAs). In contrast, Obama has shown little interest in FTAs. He has yet to commence any bilateral FTA negotiations. He delayed for years implementation of FTAs negotiated during the Bush administration. There are underway trade negotiations known as the Trans Pacific Partnership Agreement (TPPA) and the Transatlantic Trade and Investment Partnership (TTIP). The President did say that "new trade partnerships with Europe and the Asia-Pacific will help them create more jobs". The parties to the TPPA negotiations are Australia, Brunei Darussalam, Canada, Chile, Japan, Malaysia, Mexico, New Zealand, Peru, Singapore, US, and Vietnam. The parties to the TTIP negotiations are the US and EU. Surveillance. The President did not discuss surveillance operations or pending legislative reforms, or offer any of his own proposals in this speech. Rep. James Sensenbrenner (R-WI) stated in a release that "President Obama is responsible for the ongoing illegal overreach by the NSA that violates the civil liberties of innocent Americans. He is also largely at fault for the partisan divide plaguing Washington. But despite this divisiveness, the Leahy-Sensenbrenner USA FREEDOM Act has 124 cosponsors in the House of Representatives and 19 in the Senate -- a bipartisan and eclectic mix of folks covering the political spectrum. If the President wants to achieve genuine reform, he should work with Republicans and Democrats in Congress to rein in the NSA and restore trust in our intelligence community." Taxpayer Funded Research. President Obama said that "Federally-funded research helped lead to the ideas and inventions behind Google and smartphones. That's why Congress should undo the damage done by last year's cuts to basic research so we can unleash the next great American discovery -- whether it’s vaccines that stay ahead of drug-resistant bacteria, or paper-thin material that’s stronger than steel." 1/28. Rep. Alan Grayson (D-FL) introduced numerous bills to provide extensions for expiring tax provisions. One of these bills is HR 3945 [LOC | WW], an untitled bill that would extend for one year the research and development tax credit, which is codified at 26 U.S.C. § 41. This credit expired on December 31, 2013. This bill would extend it through December 31, 2014. This bill was referred to the House Ways and Means Committee. Rep. Grayson is not a member. At the end of the 112th Congress, the Congress passed and President Obama signed HR 8 [LOC | WW], the "American Taxpayer Relief Act of 2013". Section 301 of that bill modified and extended the R&D tax credit through December 31, 2013. See, story titled "R&D Tax Credit Extended" in TLJ Daily E-Mail Alert No. 2,504, January 7, 2013. There are numerous proposals for amending, and making permanent, this tax credit. See, story titled "R&D Tax Credit Bills Introduced" and related stories in TLJ Daily E-Mail Alert No. 2,521, February 7, 2013. This credit was first enacted in 1981 as a temporary measure. Since then the Congress has repeatedly extended it for one or a few years. The Congress has frequently allowed it to expire. Extensions have always been retroactive, with the exception of one year 15 years ago. 1/27. Representatives and Senators introduced several bills pertaining to data breaches, following Target's disclosure that its information systems were breached, and information on millions of its customers accessed. Members have been introducing bills, and holding hearings, related to data breaches for many Congresses. However, the Congress has enacted no comprehensive bill. The legislative response to the Target breach has followed an often repeated pattern in privacy related debates. Democrats have proposed legislation that would expand the federal government's power to regulate the private sector, in the cause of protecting individual privacy. Republicans have responded by arguing that the federal government itself poses significant threats to individual privacy, and have once again proposed legislation directed at privacy incursions involving the government. There are numerous potential components of data breach bills. There is little consensus on any matters. For example, there is the question what constitutes a serious enough breach to warrant a mandatory notice to affected individuals. There is also the question of timing of such notices. There is also the matter of what must be the contents of such notices. There are also issues regarding whether the Congress should mandate information security practices, and if so, how broadly, and which agencies should have rule making and enforcement authority. There are also questions regarding redundant state data breach laws, preemption of related state laws, and limitations on private rights of action. While the Congress has not enacted a data breach or information security statute, businesses are already subject to class action litigation. Numerous complaints have been filed against Target; at least one has already been filed against Michaels Stores (Christina Moyer v. Michaels Stores, U.S. District Court (NDIll), D.C. No. 14-cv-561). Businesses that experience breaches are also subject to state enforcement actions. There are also some civil and administrative actions brought by the Federal Trade Commission (FTC) under Section 5 of the FTC Act. See, story titled "FTC Administrative Complaint Asserts Authority to Regulate Data Security Practices" in TLJ Daily E-Mail Alert No. 2,595, September 4, 2013. Leahy Bill. On January 8, 2014, Sen. Patrick Leahy (D-VT) and three other Senate Democrats introduced S 1897 [LOC | WW], the "Personal Data Privacy and Security Act of 2014". 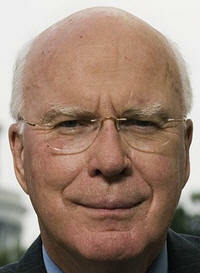 Sen. Leahy introduced a related bill, with a similar title, in the 110th Congress. That bill was S 495 [LOC | WW], the "Personal Data Privacy and Security Act of 2007". The other original cosponsors are Sen. Charles Schumer (D-NY), Sen. Al Franken (D-MN), and Sen. Richard Blumenthal (D-CT). All are members of the Senate Judiciary Committee (SJC). As of January 27, one more Senator joined as a cosponsor -- Sen. Robert Menendez (D-NJ). This is a huge bill (69 pages in PDF) that does more than address data breaches. This bill would create a broad new federal regulatory regime pertaining to data breaches. Also, it would criminalize the concealment of certain data breaches. However, this bill would also provide for the regulation of information security practices in the private sector. This bill would also expand, and rewrite much of, the Computer Fraud and Abuse Act (CFAA), which is codified at 18 U.S.C. § 1030. This bill also contains cyber security provisions. It would also add a new section 1030A, titled "Aggravated damage to a critical infrastructure computer". Sen. Leahy (at right) stated that "The recent data breach at Target involving the debit and credit card data of as many as 40 million customers during the Christmas holidays is a reminder that developing a comprehensive national strategy to protect data privacy and cybersecurity remains one of the most challenging and important issues facing our Nation." See, Congressional Record, January 8, 2014, at page S134. This bill was referred to the SJC. Sen. Leahy added that "Enacting this comprehensive data privacy legislation remains one of my legislative priorities as Chairman of the Judiciary Committee." See also, Sen. Leahy's January 8 release. ObamaCare Data Breach Bills. On January 9, 2014, Sen. John Barrasso (R-WY) and ten other Republican Senators introduced S 1902 [LOC | WW], the "Health Exchange Security and Transparency Act of 2014". On January 7, Rep. Joe Pitts (R-PA) and numerous House Republicans introduced the companion bill in the House, HR 3811 [LOC | WW], also titled the "Health Exchange Security and Transparency Act of 2014". The original cosponsors of S 1902 are Sen. Mike Johanns (R-NE), Sen. Tom Coburn (R-OK), Sen. Thad Cochran (R-MS), Sen. Johnny Isakson (R-GA), Sen. Jerry Moran (R-KS), Sen. Orrin Hatch (R-UT), Sen. Deb Fisher (R-NE), Sen. Tim Scott (R-SC), and Sen. Richard Burr (R-NC). As of January 27, there were a total of 24 sponsors -- Republicans all. As of January 27, there were a total of 76 sponsors of HR 3811 -- all Republicans. These bills are short and simple. They provide that "Not later than two business days after the discovery of a breach of security of any system maintained by an Exchange established under section 1311 or 1321 of the Patient Protection and Affordable Care Act (42 U.S.C. 18031, 18041) which is known to have resulted in personally identifiable information of an individual being stolen or unlawfully accessed, the Secretary of Health and Human Services shall provide notice of such breach to each such individual." Sen. Johanns (at right) stated in a release that "Personal information is just that -- personal and private ... Americans are being forced to submit a great deal of sensitive data when they sign up for Obamacare, despite misgivings about the website and reports that it is susceptible to hackers. They have a right to know if their private information has been compromised. Our legislation provides that extra layer of protection." These bills are a simplified version of HR 3795 [LOC | WW], a bill introduced on December 19, 2013 by Rep. Gus Bilrakis (R-FL). That bill is titled the "One Hour Notification Act of 2013" and the "OH No Act of 2013". Other Bills. On January 15, 2014, Sen. Tom Carper (D-DE) and Sen. Roy Blunt (R-MO) introduced S 1927 [LOC | WW], the "Data Security Act of 2014". This bill is limited in scope, to the extent that it is directed at financial institutions and related entities, and expressly exempts all government entities. This bill would give various financial regulatory agencies authority to write and enforce "regulations", including rules regarding information security standards, breach notices, and the content of notices. This bill was referred to the Senate Banking Committee (SBC). Neither Sen. Carper nor Sen. Blunt are members. On June 20, 2013, Sen. Pat Toomey (R-PA) introduced S 1193 [LOC | WW], the "Data Security and Breach Notification Act of 2013". As of January 27, 2014, there were all total of 8 sponsors. All are Republican, except Sen. Angus King (D-ME), who describes himself as an independent, but who caucuses with Democrats. This bill exempts financial and related institutions, such as those covered by S 1927. Notably, this bill includes a strong state law preemption clause. Moreover, the Toomey bill is narrower than the Leahy bill as to what data breaches must be disclosed to the impacted individuals. Under the Leahy bill, a company must give notice of a breach if it believes that "sensitive personally identifiable information" has been either "accessed, or acquired" (emphasis added). It is irrelevant whether or not there has been, of whether the company believes or not that there will be, identity theft or actual financial harm. Under the Toomey bill, the company must give notice only when the information has been both accessed and acquired, and it believes that there has been or will be identity theft or actual financial harm. S 1193 was referred to the Senate Commerce Committee (SCC). Sen. Toomey is not a member. However, five of the cosponsors are members. 1/27. Sen. Charles Schumer (D-NY) introduced S 1959 [LOC | WW], the "Quell Unnecessary, Intentional, and Encroaching Telephone Calls Act of 2014", or "QUIET Act". This bill would prohibit certain commercial robocalling practices, but exempt many of the most annoying calls. The regulation of telecommunications is ordinarily accomplished through amendment to the Communications Act, and/or by rulemaking or adjudicatory proceedings of the Federal Communications Commission (FCC). The Communications Act, and oversight of the FCC, lie within the jurisdiction of the Senate Commerce Committee (SCC). However, neither the SCC nor the FCC have heretofore been inclined to protect consumers from annoying robocalling practices. Sen. Schumer's bill would amend the criminal code, which falls within the jurisdiction of the Senate Judiciary Committee (SCC), of which he is a member. This bill provides that "It shall be unlawful for a person within the United States, or a person outside the United States if the recipient is within the United States, to knowingly initiate a commercial robocall without the prior express written consent of the recipient." However, the bill also contains several exemptions, both in its definition of "commercial robocall", and in an enumeration of exemptions. The bill defines "commercial robocall" as "a telephone call made for the purpose of soliciting or encouraging the purchase or rental of, or investment or enrollment in, property, goods, or services, using an automatic telephone dialing system or an artificial or prerecorded voice". There is also an exemption for any "tax-exempt nonprofit organization". Thus, political candidates, political entities, religious organizations, pollsters and survey researchers, debt collectors, and solicitors for schools and charities would remain free to make robocalls. The bill also exempts robocalls made for "emergency purposes", robocalls made by commercial mobile radio service (CMRS) providers to their subscribers without charge, and certain health care robocalls. This bill does not address any fraudulent or annoying caller identification practices, such as caller ID spoofing. The Federal Trade Commission (FTC) hosted a event on October 18, 2012 titled "Robocalls: All the Rage: An FTC Summit". See, event web site. There is also pending legislation that would create an office at the FTC that would monitor fraud that targets seniors, including via robocalls. See, S 1358 [LOC | WW] and HR 1953 [LOC | WW], the "Seniors Fraud Prevention Act of 2013". See also, stories titled "FCC Prohibits Robocalls to PSAPs" in TLJ Daily E-Mail Alert No. 2,463, October 17, 2012, "Sen. Feinstein and Sen. Durbin Introduce Bill to Regulate Political Robocalling" in TLJ Daily E-Mail Alert No. 2,268, July 24, 2011, "Rep. Lofgren Introduces Political Robocalls Bill" in TLJ Daily E-Mail Alert No. 2,054, March 3, 2010, and "FCC Adopts NPRM Regarding Limiting Some Robocalls" in TLJ Daily E-Mail Alert No. 2,037, January 20, 2010. 1/27. The U.S. Court of Appeals (2ndCir) issued its opinion [47 pages in PDF] in Swatch v. Bloomberg, affirming the judgment of the U.S. District Court (SDNY). The Court of Appeals held that Bloomberg's dissemination of an audio recording made for Swatch of a conference call for investment analysts regarding annual earnings was fair use within the meaning of Section 107 of the Copyright Act. This is a victory for Bloomberg, for business and financial journalism, and for those who rely upon access to information relevant to business and investing. Unfortunately, the Court of Appeals did not also take this opportunity to reverse, or at least criticize, its early holdings in cases in which it afforded copyright protection to unpublished works not intended for publication. Background. Bloomberg is a financial news and data reporting service. Swatch is a publicly traded company (in Switzerland) that makes watches. It conducted a conference call for invited investment analysts to discuss a just released 2010 earnings report. It invited 333, and 132 participated. Bloomberg, which was not invited, obtained a copy of an audio recording made for Swatch of that conference call without authorization from Swatch. Bloomberg disseminated that copy to paying subscribers within minutes. Four days later, Swatch filed a complaint (which it later twice amended) in the District Court alleging copyright infringement in violation of 17 U.S.C. § 106. Specifically, it alleged violation of the exclusive rights "to reproduce the copyrighted work" and "to distribute copies or phonorecords of the work to the public". Swatch filed an application with the Copyright Office (CO) to register a copyright in the sound recording two weeks later. The CO issued a copyright registration after Swatch narrowed the scope to statements made by Swatch executives, and excluding statements and questions by the analysts. Bloomberg, among other things, asserted the affirmative defense of fair use, and asserted that the sound recording is not copyrightable subject matter. Bloomberg raised these matters by way of a FRCP Rule 12(b)(6) motion. The District Court denied the motion, holding that the sound recording is copyrightable, and that fair use was a fact intensive issue not to be decided on the pleadings. The District Court then directed Swatch, prior to discovery, to file a brief on the fair use issue. Swatch did so. The District Court then granted, sua sponte, FRCP Rule 56 summary judgment to Bloomberg on the fair use defense. The District Court's opinion is reported at 861 F. Supp. 2d 336. Swatch appealed the summary judgment on fair use. Bloomberg cross appealed the denial of its motion to dismiss on the copyrightable subject matter issue. The District Court first held that the first prong (purpose and character of the use) weighs in favor of Bloomberg, because its dissemination of the sound recording "serves an important public interest, for the public is served by the full, timely and accurate dissemination of business and financial news". On appeal, Swatch challenged Bloomberg's assertion that it was engaged in news reporting. The Court of Appeals held that "the first statutory factor favors fair use here. To begin with, whether one describes Bloomberg’s activities as ``news reporting,´´ ``data delivery,´´ or any other turn of phrase, there can be no doubt that Bloomberg’s purpose in obtaining and disseminating the recording at issue was to make important financial information about Swatch Group available to American investors and analysts. That kind of information is of critical importance to American securities markets." See, pages 16-28. The District Court next held that the second prong (nature of the copyrighted work) weighs in favor of Bloomberg, because it opined that the copyright was ``thin´´, that is, primarily factual content, and because "the first publication of Swatch Group’s expression occurred prior to" publication of the audio recording by Bloomberg. On appeal, Swatch argued there was no prior publication. Swatch was, of course, correct. The Court engaged in lengthy semantic gymnastics on this point. The Court of Appeals conceded that "the sound recording remains statutorily unpublished". The Court of Appeals wrote that "Swatch is unquestionably correct that the earnings call is unpublished under the definition of ``publication´´ set forth in § 101. But that technical definition does not control our analysis of this aspect of the second fair use factor. While we will consider the statutory definition, we also will not blind ourselves to the fact that Swatch Group invited over three hundred investment analysts from around the globe to the earnings call, out of which over a hundred actually attended." It concluded, "We accordingly agree with the district court that although the sound recording is statutorily unpublished, because Swatch Group publicly disseminated the spoken performance embodied in the recording before Bloomberg’s use, the publication status of the work favors fair use." See, pages 28-35. The District Court stated that under the third prong (amount and substantiality of the portion used) when the alleged infringer distributes the entirety of the work, as did Bloomberg, "this generally weighs against fair use". But, it also found that the public interest in the information contained in the recording "is better served by the dissemination of that information in its entirety, including the incidents of oral speech that do not translate onto the page but color the purely factual content." It stopped short of holding that this factor weighs in favor of a finding of fair use. The Court of Appeals wrote that "Bloomberg’s use of the entire recording was reasonable in light of its purpose of disseminating important financial information to American investors and analysts. ... Like the district court, we accordingly weigh this factor in neither party’s favor." See, pages 35-38. The District Court held that the fourth prong (effect of the use upon the potential market) weighs in favor of a finding of fair use because Bloomberg's dissemination did not have "any possible market effect". See, pages 38-42. The Court of Appeals agreed. It wrote that "the possibility of receiving licensing royalties played no role in stimulating the creation of the earnings call. Indeed, Swatch affirmatively argues that it does not know whether there is a potential market for this kind of recording, and cannot know without obtaining discovery from Bloomberg. The context of the earnings call, moreover, makes perfectly plain that its purpose was to enable Swatch Group executives to disseminate financial information about the company in a way that they believed would be advantageous. It is that calculation of advantageousness, and not the possibility of receiving royalties, that induces Swatch Group and other similarly situated companies to hold earnings calls." Finally, the Court of Appeals held that "In sum, Bloomberg's use is fair use." Bloomberg also argued in the District Court that the sound recording at issue is not protected by the copyright laws. The District Court held that it is. Bloomberg filed a cross appeal on this issue. The Court of Appeals held that Bloomberg is not aggrieved by the judicial action from which it appeals, and therefore lacks standing. Case Information. This case is Swatch Group Management Services Ltd. v. Bloomberg, L.P., U.S. Court of Appeals for the 2nd Circuit, App. Ct. Nos. 12-2412-cv and 12-2645-cv, an appeal from the U.S. District Court for the Southern District of New York, D.C. No. 11-01006, Judge Hellerstein presiding. Judge Katzmann wrote the opinion of the Court of Appeals, in which Judges Kearse and Wesley joined. 1/27. The purpose of this commentary is not to question the finding of fair use in Swatch v. Bloomberg, but rather the analyses employed by the District Court and Court of Appeals to reach their conclusions. The Courts did not, but could have, reasoned that a finding of fair use is particularly appropriate where journalists, historians, or academics make use of unpublished works that are not intended for publication for the purpose of conveying factual information on matters of public interest. Bloomberg's use fits squarely into this category. So do many other uses by journalists and others. Yet there are opinions to the contrary that have been roundly criticized by law professors and others. Copyright exists to promote the Progress of Science and useful arts. It does this by providing an economic incentive to create. By giving "Authors and Inventors the exclusive Right to their respective Writings and Discoveries", they can obtain fees for licensing their Writings and Discoveries. Giving creators rights in unpublished works intended for publication, such as a book weeks before its public release date, is fundamentally important. This can be when the economic value of a work is most vulnerable to diminishment by infringement. In contrast, there is no creation incenting economic interest to protect in unpublished works not intended for publication. This case involves just such an unpublished work not intended for publication. Swatch had no interest in licensing or selling copies of its audio recording. Bloomberg did nothing to harm any economic interest of Swatch in deriving revenue from this audio recording. This was a Second Circuit case. It is also the Second Circuit that issued the two leading opinions holding that the courts should extend full copyright protection to unpublished works not intended for publication. These cases are Salinger v. Random House, 811 F.2d 90 (2nd Cir. 1989) and New Age Publications v. Henry Holt, 873 F.2d 576 (2nd Cir. 1989). There are many academic criticisms of these opinions. See, for example, Landes and Posner, The Economic Structure of Intellectual Property Law, at Chapter 5. It is unfortunate that this Court did not take this opportunity to reverse, or at least criticize, these opinions. The Court of Appeals did cite (at page 31) both Salinger and Holt, but only to explain why the Congress passed the 1992 amendment to Section 107. The Court neither criticized, nor expressed approval of, either of these opinions. The holdings of Salinger and Holt are detrimental to the public's interest in learning about matters of public concern, as well as to the journalists and historians who seek to write about these matters. One significant class of unpublished works not intended for publication is documents containing factual information that are disclosed for the purpose of criticism of corporate management, or whistleblowing of legal violations. Companies and executives sometimes assert copyright in unpublished documents that are not intended for publication, not to protect their economic interest in those documents, but to suppress criticism, to avoid regulatory or criminal investigations, and/or to protect undeserved reputations. Another significant class of unpublished works not intended for publication is correspondence of public figures on matters of wide public interest. Journalists and historians may have copies of the correspondence, but be unable to publish excerpts, because of Salinger and Holt, without first obtaining permission, which often entails surrendering editorial control to the authors or heirs of the authors of the correspondence. Indeed, government officials, regulatory agencies, companies, trade groups, and others have a range of tools and tactics, of which copyright is just one, to exclude journalists and others from publishing or using certain works or information. Sometimes the purpose for asserting copyright, or employing some other tactic, is to suppress the dissemination of certain specific information. Sometimes the purpose for asserting a power to exclude is to trade permissions to use information for some editorial control over journalists. Of course, all of this is fundamentally inconsistent with the free flow of information, free markets, and free expression. Hence, there is an argument that the Courts should not construe the Copyright Act in a manner that facilitates such conduct, while serving none of the underlying purposes of the Copyright Act. 1/27. For early and technical reporting of data breaches, see Krebs on Security. See for example, December 18, 2013 story titled "Target Investigating Data Breach", January 15 story titled "A First Look at the Target Intrusion, Malware", January 16 story titled "A Closer Look at the Target Malware, Part II", and January 25 story titled "Card Breaches at Michaels Stores".